Warehouses can be dangerous. In a warehouse, workers are exposed to heavy pieces of machinery, fumes from trucks coming and going, pallets and products stacked high to the ceiling, and sometimes, poorly-built or maintained stairs and scaffolding. There are many ways to become injured in a warehouse, and these injuries can saddle you with significant medical bills and keep you out of work for a prolonged period of time. This is why it is so important to seek monetary compensation by means of a workplace injury claim. Although it is possible to recover your damages if you are injured on the job, it is better to avoid an injury in the first place. You are never guaranteed that you will receive compensation for your damages and in many cases, despite receiving quality care, injuries may never heal to the point that they were before the accident occurred. By taking certain safety precautions in your warehouse, you can potentially save yourself and your employees millions of dollars' worth of lost productivity and medical care. Consider implementing the following in your warehouse to reduce the risk of injury to all of the workers present. In the warehouse, you can often find yourself working with knives and box cutters to cut through product packaging. It is very easy to cut yourself with one of these tools if you are not careful. Always exercise proper knife and box cutter handling techniques and, when you are done using a tool, return it to its correct storage space. It is very easy to trip over or step on an object and hurt yourself in a slip or a fall. When you are lifting a heavy object or taking a pallet or item off a shelf, always be aware of who and what is around, below, and behind you. Make your facility safer by installing bright lights throughout the building and having employees clean up their respective areas on a regular basis. A forklift is a heavy piece of machinery that can kill a victim if safety measures are ignored. When you are driving a forklift, always be aware of your surroundings and announce your presence both visibly and audibly to those around you. Never operate a forklift if you have been drinking or if you are taking a prescription medication that could impair your ability to work safely. 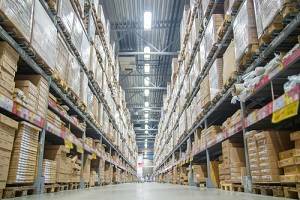 Despite taking the correct safety measures, warehouse injuries happen. 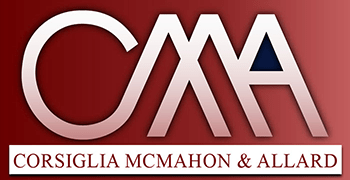 If you have been injured in your warehouse, contact Corsiglia, McMahon, & Allard, L.L.P. today to learn more about the process of filing and pursuing a workplace injury claim. Our dedicated San Jose workplace accident attorneys proudly serve clients throughout the Bay Area, San Mateo County, Alameda County, San Benito County, Monterey County, and Santa Clara County. Let us help you get the money you deserve for your recovery.